Richard Kay was born at Baldingstone House in Walmersley near Bury in Lancashire on 20th March 1714/5 the oldest surviving son of Robert Kay and his wife Elizabeth Taylor. He started writing his diary on 11th April 1737, and from then made an entry every day for the next 13 years. The picture shown here is an impression of what the house might have looked like then; other pictures of Baldingstone can be found on our Kay Homes page. Richard had four sisters; only Mary was married, Elizabeth, Alice and Rachel lived at home. There was only one surviving brother Robert, fourteen years his junior “a very pretty youth”. There were many cousins. His father’s older brother Richard had jointly inherited Baldingstone with Robert, but built himself a house at Chesham and raised a large family there. He had five sons. The oldest of these, Richard, never married, and died in 1749; the diarist was clearly very close to his cousin, for he wrote on his death “O Death, where is thy Sting; O Grave where is thy Victory. I am yet alive, Blessed by God, but have been often sensibly touched with the Death of a Friend; a fresh Instance I now have of the Death of a near Relation, of One with whom I have had an agreable Friendship and Communion these many Years, of One who was always faithfull in my Interest, and sincere in my Welfare; Cousin Richard Kay is dead”. Samuel remained single too; he had a keen interest in horse racing and bred his own horses. John was an attorney and set up a law firm in Manchester that stayed in the family for four generations; his grandson Samuel was known in Manchester as ‘the honest attorney’. Thomas married and stayed at Chesham which he inherited on his brother’s death. Robert died in June 1737 at the age of 24; he appears to have been a wild youth “he did his Heart chear him too much in the Days of his Youth, and did walk too much in the ways of his Heart, and in the Light of his Eyes”. There was also a host of Sheephey cousins from Richard’s grandmother Alice Kay of Sheephey, an aunt of John Kay the inventor. 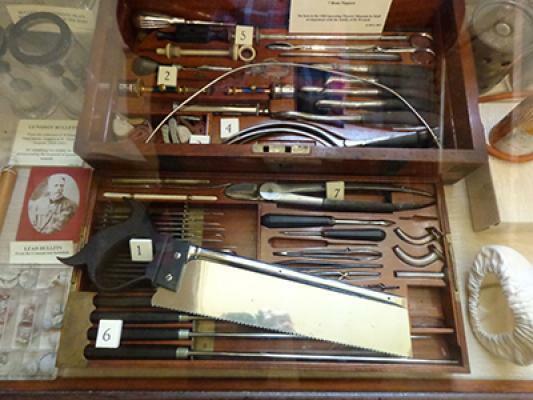 Richard’s father was a doctor, and he followed him in the profession; he initially learnt his trade from his father, but 1742 he went to London for a year to study at Guys and St Thomas’ hospitals. 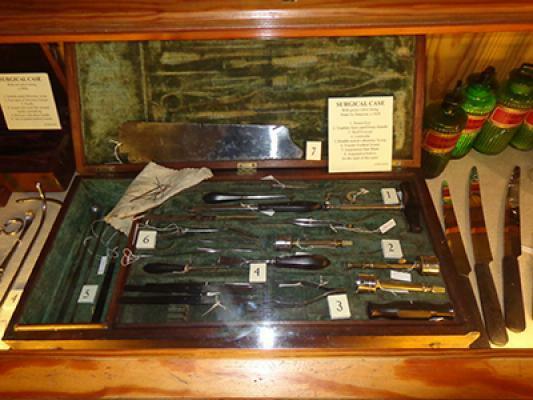 His cousin Samuel was a doctor too; having studied at Leyden in Holland, Samuel practised in Manchester and was one of the founders of the Manchester Infirmary. We have never discovered where this interest came from – Robert’s father started out as a blacksmith – but there have been doctors in every generation since. 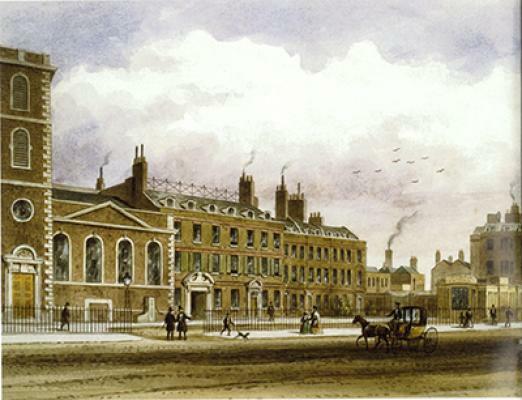 Richard studied at Guys and St Thomas’ hospitals in London between August 1743 and September 1744, enrolled as a pupil to Mr Steade, an apothecary at Guys. 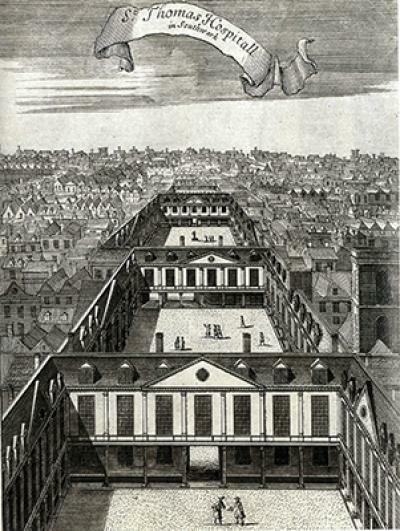 At that time, the two hospitals stood opposite each other across St Thomas’ Street and the picture shown here is of St Thomas’ as it would have been then; click on the picture to enlarge it and to see others. 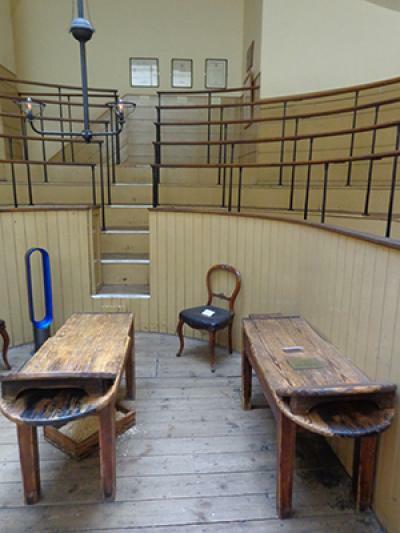 We are indebted to the Old Operating Theatre Museum and Herb Garret in St Thomas’ Street (http://www.oldoperatingtheatre.com) for permission to reproduce these pictures – the museum is in the tower of St Thomas’ church, which can be seen on the left of the picture, and is well worth a visit if you are in the London Bridge area. He attended both hospitals almost every day, but gave very little detail about what he saw “I’m here I think every Day seeing something very remarkeable in one or both of these Hospitals, but think it best not to mention the Particulars only my Attendance here because it will swell my Diary too much; I send Father a Journal of my Going on, and what falls out here that is remarkeable”. He attended lectures “This Day I attended the Hospitals. Mr. Sharp lectur’d to us upon the Coats and Humours of the Eye”, and witnessed operations “there hath been two Legs took off and a Girl cut for a Hare Lip”. If only he had given as much detail as he did of his other activities. He did not forget his religious duties while he was in London “… in the Afternoon heard Mr. Lankford preach at King’s Way House in East-Cheap from 1.Cor.1.30. in the Evening heard Mr. Westley the Methodist preach at the Founder in Moor Fields from John.11.43. Lord, Help me to hear thy good Word in every Place under what Denomination soever as if I were hearing for Eternity.”. He went to the theatre “heard the Play call’d the Funeral, and the Mock Doctor in the Evening at Covent Garden Playhouse; seeing little in these Hospitals but Affliction and Death, I find it necessary for me now and then to seek out some Diversion”, witnessed public executions “I saw the Execution to Day at Kennington Common a little out of Town, there were 5 Men and a Woman hang’d”, and socialised with the other young men at the hospitals and with visitors from Lancashire. 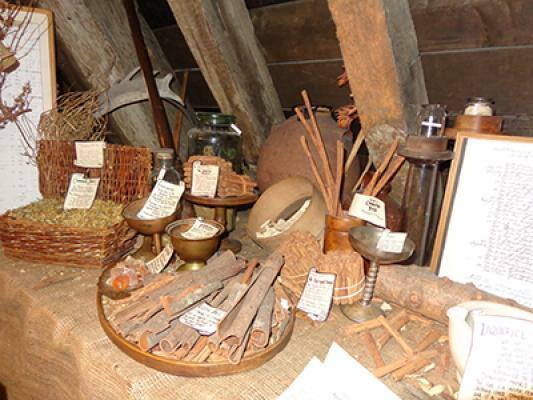 The diary gives a fascinating insight into eighteenth century medicine. 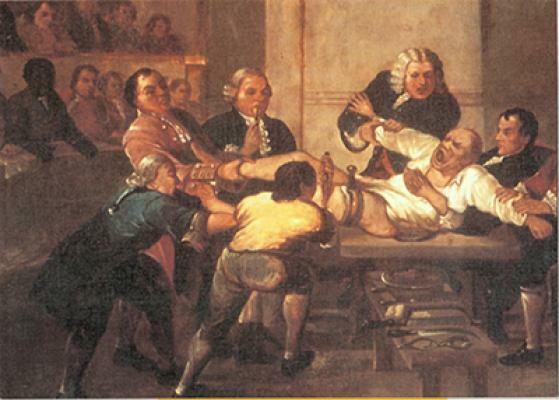 Amputations were frequent and medication was crude. Prayer was probably the strongest weapon in his armoury. 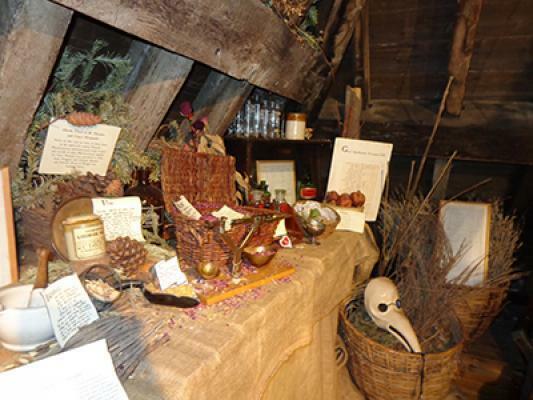 There were epidemics; typhus and cholera were rife and three of his sister Mary’s children died of smallpox. Child mortality was high, the parish registers suggesting as much as 50% – of his cousin John’s 13 children, only four reached adulthood. Death in childbirth was common too “… in the Afternoon I attended the Funeral of Coz. Kay at Brookbottom who died last Night but One; I delivered her of two dead Boys last Sabbath Day Morning under very discouraging Symptoms. Coz. Edward Kay and her have been married above 12 Years and she was never with Child before”. Calls were made on horseback, with the occasional fall “… in crossing the River at Gooseford which is much swelled by the late Rains my Horse stumbled in the deep Stream and tho’ he was mostly covered with Water yet Blesed be God I got out safe; I drawed my Boots at the next House and exchanged my wet Stockings for a Pair of dry Ones that I borrowed”. Mrs Driver appeared to have recovered well from her operation, until June of the following year “she came here to Baldingstone to shew us a Knot she had discovered that Morning about an Inch and half below the old Wound upon the Forepart of her Ribs, which growing so fast upon the Sunday, Monday &c. Mrs. Driver came here for us she being determined to undergo a second Amputation, upon dissecting the Knot I soon found I had more Work to do than was expected as there appeared other Kernells closely joyned together which lay down to the Abdomen and the Compass of six or seven Inches Square, in some Parts I took off the Skin, in others dissected them from under the Skin, so that from below where her Breast formerly was down her Ribs to her Belly I dissected from her at a moderate Computation five hundred different distinct Schirous Knots or young Cancers; she was sick and very poorly after the Operation.” There were further operations in July, August and September to try and halt the cancer that was devouring her body, but Mrs Driver finally died in February of the following year. Richard was a devout and serious young man who ended every entry with a prayer. 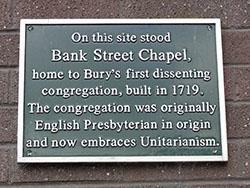 The family were staunch Presbyterians, and his father Robert was named on the earliest lease we’ve found on the chapel in Bank Street, the first dissenters chapel in Bury; his uncle Richard laid the foundation stone of the chapel in 1719. They worshipped there every Sunday, walking the four miles south to Bury. “This Day this Sabbath Day I’ve been at Bury Chappel and heard a Sermon preach’d by Mr. Braddock from Luke.15.17. I forgot my Writing Book and have not writ Sermon to Day. Lord I hear that thou art rich in Mercy, that thy Mercies surmount our Sins and that thou art willing to receive repenting Sinners, help me therefore sincerely to repent.” He forgot his writing book so could not write down the sermon! 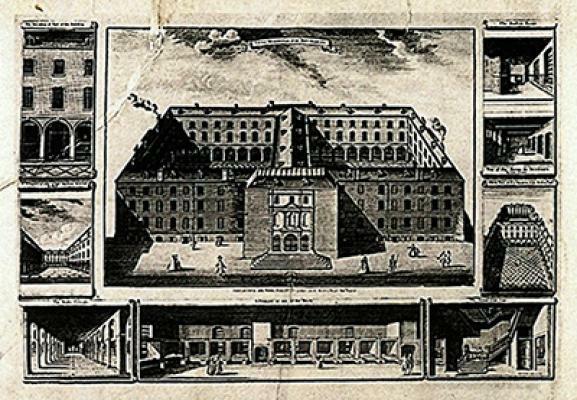 Mr Braddock was minister until his death in 1770; his gravestone can be seen in the garden beside the present building, the third on the site. He was not a fan of music in church either “Yester-Evening I went with several of my Friends to hear the new Organ at Manchester old Church play’d upon the first Time of it’s Opening before it’s Dons (or Worshippers); Musick in Divine Service at Churches seems to be coming much into Fashion; I was asked last Week to subscribe to an Instrument called a Bazoon to be played upon in Bury Church, they told me that Musick in Divine Service was the purest Way of Worship, it was serving God in the Beauty of Holiness, &c; it seems to me to be a merry Way of getting to Heaven, to be a Rejoycing as though they had already attained or were already perfect …”. 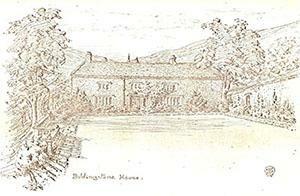 Baldingstone, like so many in the area, was a farming property leased from the Earl of Derby. Richard was often out in the fields “This Day I’ve been assisting in the Hay Harvest. Lord give us Harvest Weather in Harvest Time to the End thereof.” It was not all work and prayer at Baldingstone; there was an active social life “Mr. Benjamin Gaskel, and Miss Peggy Hibbert from Manchester; Mr. Samuel Robinson and his Sister Miss Mary Robinson from Chetham Hill, and Coz. Richd. Kay from Chesham lodge with us to Night; diverted our selves this Evening with Musick and Dancing”. There were outdoor activities as well “… we diverted our Selves a little after Dinner with shooting of young Crows”. Echoes of the outside world sometimes creep in “This Day has been observ’d as a Day of national Humiliation and Prayer being engag’d in a War with Spain and France”. But the event that loomed largest was the 1745 rebellion, led by Bonnie Prince Charlie, the Young Pretender. The rebels marched south from Scotland, passing through Manchester “All the Rebells from Scotland who are upon their March for London to dethrone our Majesty King George the 2d. and to set a Popish Pretender upon the Throne of England lodge this Evening in Manchester, they are supposed to be about ten Thousand Persons. Lord, Discover their Plots, discomfit them and shake their Babel down”. The rebels got as far as Derby then turned back north, again passing through Manchester “… we met Coz. Doctor Kay and his Brother Coz. John Kay from Manchester who told us they were fleeing out of the Way of the Rebells … Manchester with the Assistance of the Country People are intending to make a Stand against them, Cousins wou’d have me go to Rossendale with them about four Miles from hence to raise the People there”. Fortunately, discretion prevailed over valour “The Rossendale People about 500 came our Road towards Manchester to Day but ’tis thought proper not to oppose the Rebells; They and Thousands were dismiss’d”. Richard did not neglect the opportunity to do some gawping “Having never seen the Rebells, or any in a Highland Dress, I set out this Morning on Foot in Company with some other Friends to see them march on the Road from Manchester to Wigan”. The last entry was made on 19th July 1750, and reads “This Day in the Morning I returned from Manchester, in the Afternoon “. At that point it breaks off, as if the writer had been suddenly called away. He never returned to it. The later entries suggest that this serious young man was becoming disillusioned; there had been too many deaths of close relatives and friends. His father died in October of that year. Richard himself died on 2nd October 1751 at the age of 36, and his mother two weeks later. Elizabeth and Rachel died in the same year. Of the family, only Mary, Alice and Robert survived. The diary has been with the descendants of Richard’s cousin John ever since and is now on permanent loan to the Chetham Library in Manchester. We’ve got a full transcript of the diary which we’re not allowed to release though we’re happy to answer questions. Extracts from it have been published by the Chetham Society.